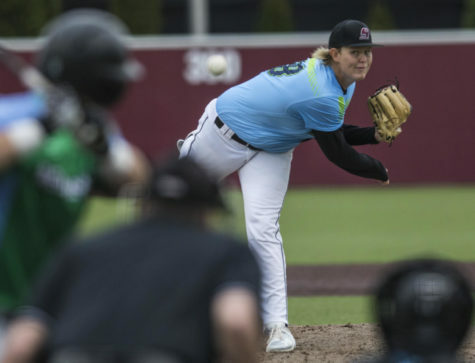 On the heels of a dominant win on Saturday, Saluki baseball hosted the UC Irvine Anteaters for the final time of a three-game series. 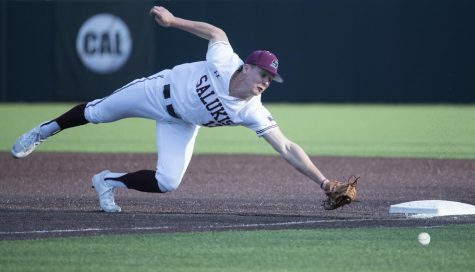 SIU held on for a 10-8 victory in the rubber game on Sunday afternoon for the series win against the Anteaters (12-10). Southern continued its trend of scoring first as junior second baseman Nikola Vasic and sophomore right fielder Addison Fugitt reached on back-to-back singles that put runners on the corners. Fugitt proceeded to steal second, while senior shortstop Connor Kopach grounded out and scored Vasic and advanced Fugitt to third. With one last single in the inning, senior first baseman Logan Blackfan lined one up the middle and drove in Fugitt for a 2-0 lead. The Anteaters answered back in the second, putting runners on first and second with a single and a hit by pitch and advancing on a wild pitch. With a single by freshman left fielder Brendan Brooks, UC Irvine scored its first run of the game. The Anteaters were able to load the bases with two outs for a chance to cause serious damage, however, sophomore starting pitcher Brad Harrison struck out the final batter of the inning and held the score at 2-1. UC continued its hot streak in the third, as the Eaters hit four straight singles and scored two more runs. That rally brought Harrison’s start to an end after just 2.2 innings. 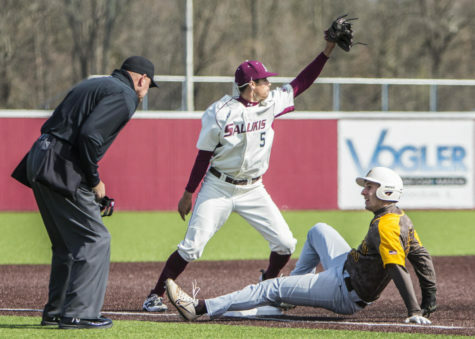 Southern refused to stay down as it had an immediate response, as the Salukis loaded the bases on a single, an error and a walk. 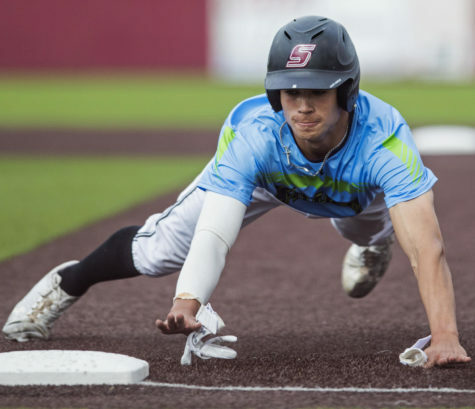 Freshman third baseman Grey Epps gave SIU the lead with a single to center that plated two runs. Then, with back-to-back singles from Vasic and freshman center fielder Brad Hudson, two more runs crossed the plate and gave the Salukis a 6-3 lead after three innings. The Anteaters fought right back in the fourth as they loaded up the bases on a single, a walk and an error. With the bases loaded, they drove in one run on a sacrifice fly that brought them within two runs. Southern put up another big inning as Blackfan walked, while junior left fielder Alex Lyon singled, putting runners on first and second. Then, senior designated hitter Drew Curtis doubled to right center and cleared the bases and stretched the lead to 8-4. After a runner doubled and advanced to third, UC Irvine responded back with a big inning when a single and double drove in a run and pushed two men into scoring position. UC put up one last single in the inning that cleared the bases and bring the Anteaters within one heading into the bottom of the fifth. Southern put another run in the bottom of the fifth as Hudson singled to left field and advanced to second on a single by Vasic. Hudson finished the game 2-4 with one run and an RBI. After the runners advanced on a groundout by Fugitt, Kopach flew out to deep right and allowed Hudson to score and extend SIU’s lead to 9-7. 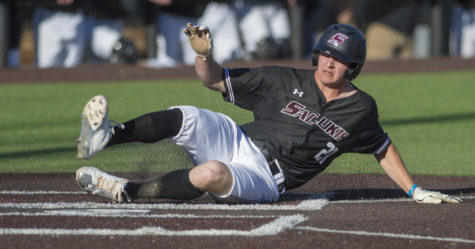 When the Salukis took a 10-7 lead, the Anteaters tried to battle back in the seventh as senior first baseman Ryan Fitzpatrick tripled to left center and scored on a sacrifice fly to make it 10-8. 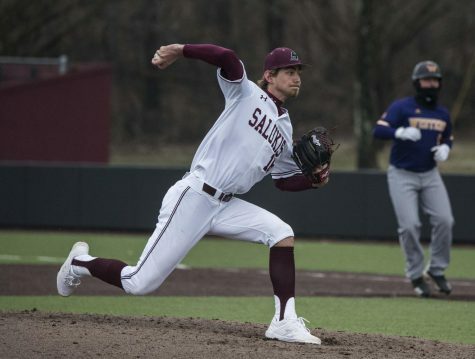 SIU turned to senior closer Ryan Netemeyer to nail the game down. In his 30th career save — tied for the school’s saves record — Netemyer closed out the Anteaters and secured the 10-8 victory. Freshman reliever Noah Farmer (1-1) got the win in two innings pitched. 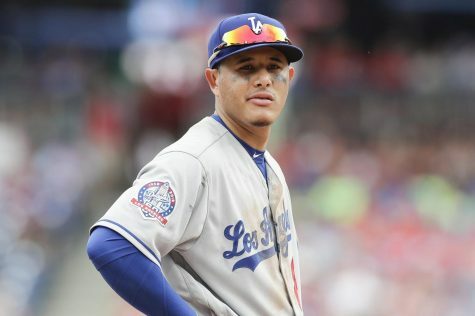 He gave up three earned runs and a walk in the contest. 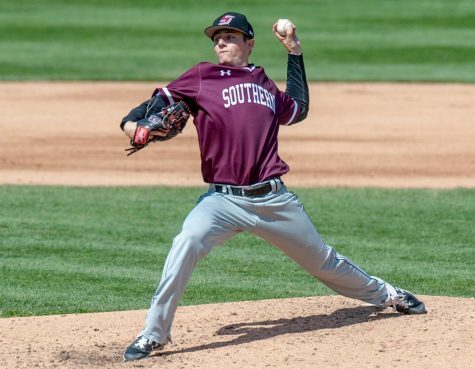 Southern put another solid offensive outing as it netted 14 total hits with seven strikeouts. 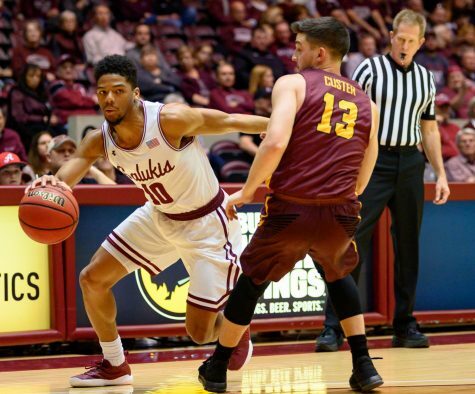 The Salukis (12-12) will host their first mid-week game of the season when they take on Arkansas State on Tuesday for the second time this season. First pitch is scheduled for 5 p.m.